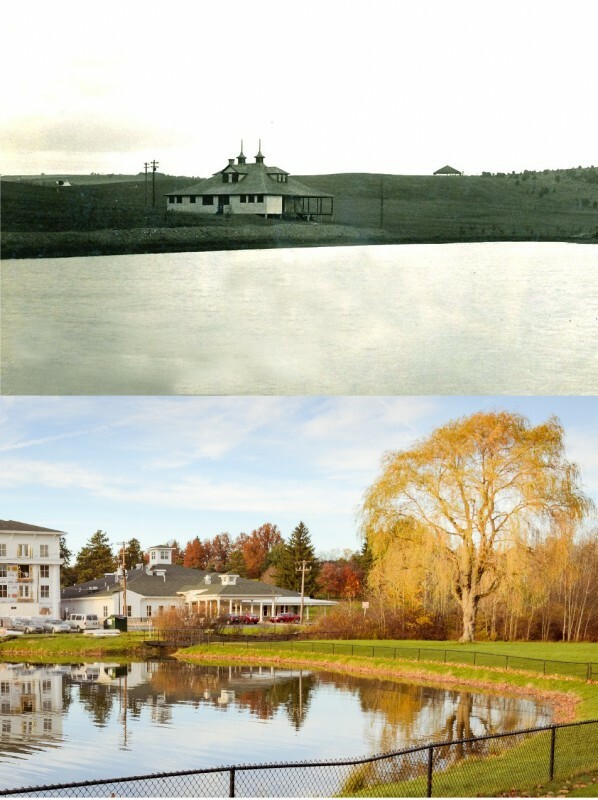 Then is a view of the original DuBois Country Club from 1910 along with the Tannery Dam and the golf course. Now is a newly-built Country Club, which houses a bar and grill, and it sits next to a nearly-finished hotel. Photo by Ryan Haggerty. Submit your old-time photos for consideration in GANT’s “Then & Now” project. Email them to news@gantdaily.com or editor@gantdaily.com.